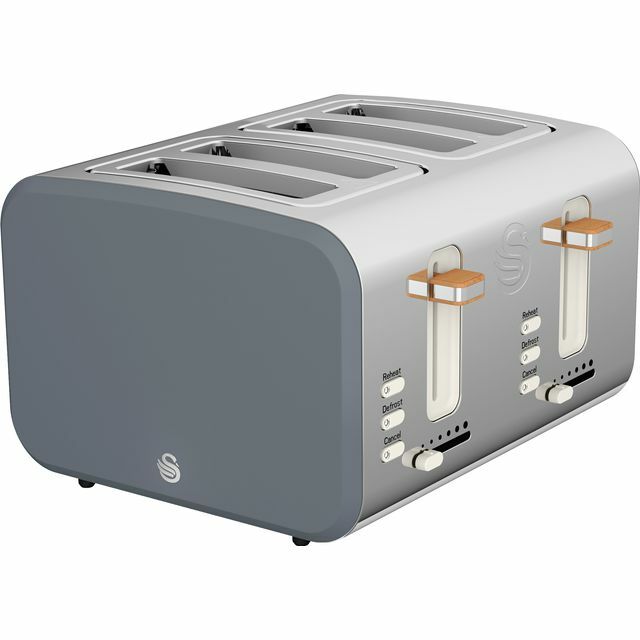 Make the most important meal of the day a treat with this grey 4 slice toaster from Swan. With its brilliant defrost function, it’ll quickly thaw out frozen bread – so you’ll never need to remember to take a loaf out of the freezer overnight. If your toast is ready before the rest of your breakfast, the reheat setting will heat up your toast to the perfect temperature without browning it any further. Its non-slip feet will keep it secure too, so there’s no need to worry if you accidentally knock it during busy mornings. Plus, the removable crumb tray will take care of all the mess for you, which means you can focus on fuelling up for the day. Half a slice of toast! 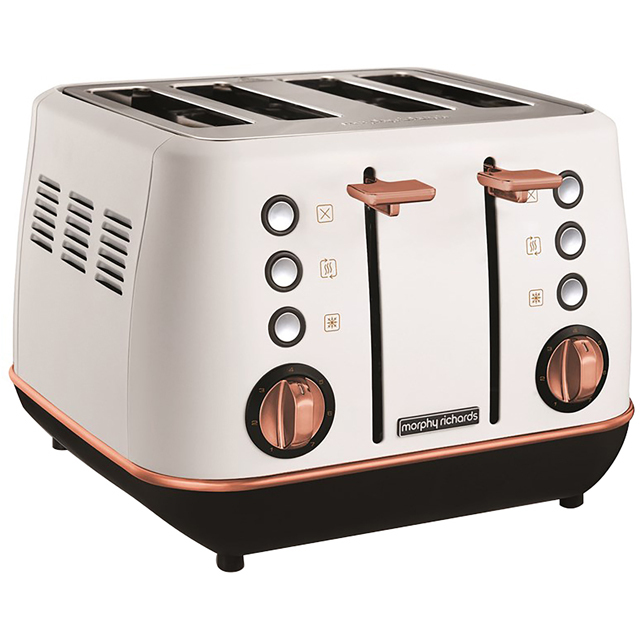 Beautiful looking toaster so I'm gutted it's going back. Only toasts half a slice. Really, really shallow slot that wouldn't toast more than half of any standard slice. Had to argue the toss with AO who said as it toasted some of the bread it was fit for purpose!!! ?? i just can't believe that Swan are still selling this and think it is acceptable. The matching kettle is going back too as we can't get rid of the chemical taste it leaves in the water even after boiling it with half lemon juice and half water as suggested by Swan. If I'm spending a decent amount I don't expect any of this carry on. Won't buy from Swan or AO again I'm afraid. Doesn't toast about an inch or two of your bog standard bread. Also the picture makes the front look Matt or plastic when it's fingerprint magnet stainless steel which I was pretty disappointed with. Out of the set i was least impressed with this item.